Guardianship | Estate & Guardianship Managment Services, Inc. Among retirees in Florida, there are a significant number who gradually lose the capacity to manage finances, make decisions or act in a timely manner to safeguard their own health and welfare. This naturally causes concern for the seniors and their relatives who are not in a position to assume that responsibility. In Florida, the court is empowered to appoint guardians for adults who are unable to manage their affairs for their own benefit. Our firm, Estate and Guardianship Management Services, Inc. in Punta Gorda, provides professional and personalized guardianship services. We are registered with the Office of Public & Professional Guardians and have built a solid reputation since our founding in 2000. Guardianship is the legal process in Florida during which a court of law appoints a fiduciary to make decisions for someone that lacks the capacity to make their own decisions. A guardian is the fiduciary appointed by the court to protect that individual and manage their assets. Occasionally, when there is no family member that is able or willing to serve, or it is in the best interests of the incapacitated individual, the court appoints a professional guardian to act as fiduciary for the incapacitated individual. Our professional guardians are registered with the State of Florida Department of Elder Affairs. In order to register with the department, professional guardians must undergo a background check, submit an annual credit report, pass an examination, and obtain and maintain a surety bond. 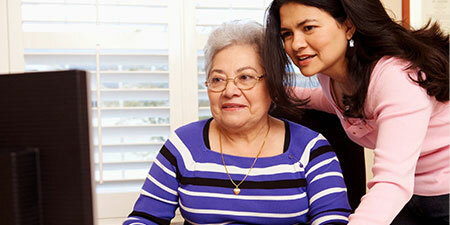 Professional guardians are represented by local attorneys specializing in eldercare and are accountable to the court. A guardian is responsible for everything that has to do with managing the care and finances of an incapacitated individual. From ensuring that he/she is receiving the proper nutrition and health care, to making sure that all financial transactions are accounted for and recorded. In addition to managing medical and financial decisions for the incapacitated individual, a guardian must prepare annual reports to be filed with and approved by the circuit court judge assigned to each case. The guardian works with professionals such as attorneys, accountants, and financial advisors to be sure that all decisions are made with the appropriate considerations. It is a tremendous burden to cope with a family member whose faculties are failing. Our skill set and experience is uniquely suited to manage these individuals’ lives, both medically and financially. With a combined 35 years of experience acting as fiduciaries, our professional guardians have built a reputation for compassion and competence among providers of elder care, attorneys, families of those individuals they assist and the judicial system. Estate and Guardianship Management Services, Inc. is a professional estate management service for seniors in Florida. We serve in several capacities to help ensure that your loved one enjoys the highest possible quality of life and that their finances are in order. To schedule a free consultation, call 941-743-4151, or contact our office online. This web site is designed for general information only. The information presented at this site should not be construed to be formal legal advice.